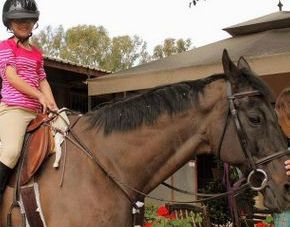 Moonstone Riding Academy offers lessons for various ages, from children to adults. Whether it's your first time on a horse or you're a returning rider, our lesson programs are catered to your needs and ability. Our lesson program is an all-season program. 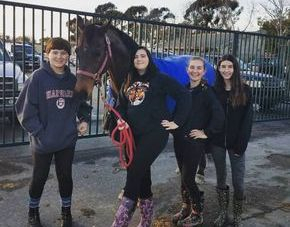 This means that if the weather is less than favorable, we still conduct our lessons by teaching our students ground horsemanship, equine care, and the theory of riding. We believe that being an equestrian does not involve just riding; but also the proper care of our equine partner. Lessons are conducted and instructed to the student's ability. Instructors will evaluate the student and decide how the lesson program should progress from then on. Every rider progresses and learns differently; our goal is to help you reach yours by catering a program to your needs. Prices can be found below. Our full-lesson program is built for students who have the endurance to ride for extended periods. 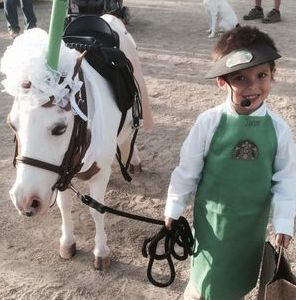 Our mini lessons are perfect for younger students who are just as horse-crazy as the rest of us! Weekly scheduling can be made with advanced notice. Learn the basics of equine care, science, and barn maintenance with our Hands-On Horsemanship program! 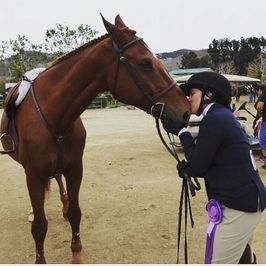 These lessons are not riding lessons and are perfect for anyone interested in just learning how to care for these wonderful creatures! Has your little one ever wanted to spend some time with Miss Trixie? Now they can! Mini Play-Dates are 30 minutes long, intended for children ages 3 to 6. Parent or guardian must be present and accompany the child during the session. Advance reservations required. Monthly package discounts are available for our full-lesson programs only. Prices vary depending on number of lessons per week, per month. Please contact us for more details. 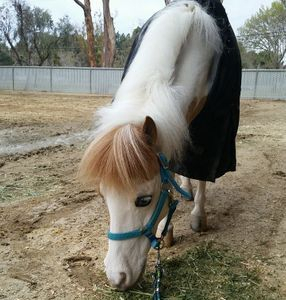 Longer riding time is available for riders who are fully capable of preparing their horse on their own, with no assistance from the instructor. This program must be cleared by the instructor prior to making this arrangement. First time riding with us? No worries! We ask that you arrive at least 10 minutes early to sign necessary paperwork and meet with your instructor. 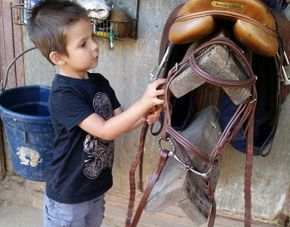 This also gives you or your child time to fit helmets and/or boots, meet the horse, go over safety, and some quick hands-on horsemanship before the mounted instruction takes place. We ask that you (or your child) dress appropriately for this sport. Long pants/leggings and close-toed shoes with a heel (no high heels, please) are the prefect thing to wear. Dress accordingly with the weather and bring water. Helmets are provided. Lessons are scheduled on a first come, first serve basis, and must be made at least two weeks in advance; we cannot accommodate same-day scheduling. We request that any cancellations and reschedules be made at least 24 hours before your scheduled lesson time. If cancellation occurs less than 12 hours before your scheduled lesson time, the lesson will be forfeited and you will lose the chance to reschedule this lesson. However, we can be accommodating for certain circumstances.